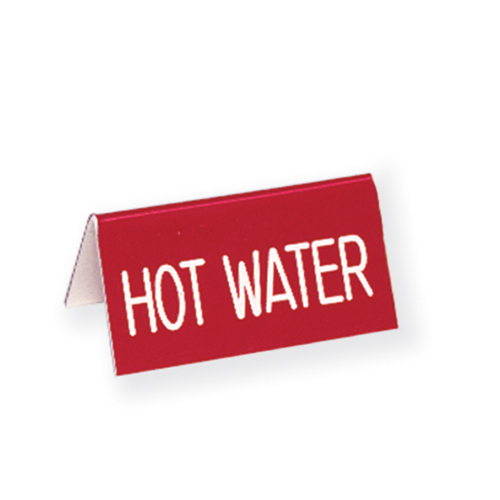 This hot water table sign in red with bold white font. Table tent signs stack well for easy storage. This Table Sign offers a picture perfect way to organize your goods. Constructed of clear Acrylic, this Countertop Countertop Food Service Sign is a hassle-free way to display items. Buy Table Sign now - Use our convenient shopping cart or give us a call and place your order with a knowledgeable service representative today!